How do I know that the Blucher shoe was developed by a German general who wanted to create a boot his troops could easily remove and still be sturdy on the march? How do I know that UK menswear outfit Daks is a compression of ‘Dad’s slacks’? I know only because other people have told me. Several people, and I’ve read it in books. But I’ve never done anything to verify either of these facts independently. In fact, I go one step further and actually repeat these facts in my blog and other features, purely because several sources say the same thing. Given that my blog and features are now one of those sources, this is a self-fulfilling exercise. It is circular perpetuation. This reliance on scant evidence is highlighted when you are told two contradictory facts. 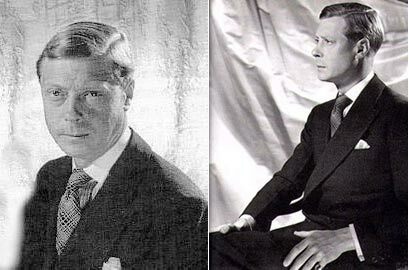 For example, the Windsor knot is named after the Duke of Windsor, Edward VIII. The fact sometimes related is that the Windsor knot is named after Edward because he tied his ties that way. This, I’m pretty sure, is false. He actually just liked a thicker knot so had his ties made thicker and tied them with a normal four-in-hand. It is called a Windsor knot because it looks like the knots he often tied, which did fit into Windsor collars (a wide spread collar), also named after him and more suited to the thicker tie knot. Only one or two fairly trite sources will give you the first version. But there are more opaque myths. The four-in-hand knot, for example. In three separate books I have read that the name originates from: the tie knot worn by drivers of coaches with four horses, referring to the four reins they held; the tie knot worn by the four-in-hand club, which was connected to such coach drivers; and the knot itself, which looks rather like reins when hanging loosely from such a small, tight knot. Now any or all of these may be true. It may be that coach drivers that used four horses formed a club called the four-in-hand club and thought their ties looked a bit like their reins. But then, only one of them may be true. How do I know? What method do I have other than looking up lots of sources and relying on mathematics? In one of these books I also read that the stripes on an American club tie go in the opposite direction to a British tie (a man’s right shoulder to his left hip in America) because those making ties in the US forgot to take account of the direction of the stripe when they turned the silk over to cut it. This contradicts the story I am usually told, that Brooks Brothers launched ties with an opposite stripe to deliberately be different to British ties. That second one is probably right. But how do I know? My point is this: online journalism is an easy way to perpetuate urban myths through sheer repetition. It is something we have a responsibility to monitor, just like those volunteers at Wikipedia. You can follow the discussion on Menswear myths, fact and fiction by entering your email address in the box below. You will then receive an email every time a new comment is added. These will also contain a link to a page where you can stop the alerts, and remove all of your related data from the site. Very interesting stories on ties. I’ll be talking about this with my co-worker tomorrow! Thanks for sharing great information and fascinating stories. I enjoy reading your blog always. Thanks Lark, I’m pleased you enjoyed that posting and the blog generally. Actually, it’s a misunderstanding. The “four-in-hand” [sic] knot is actually the “foreign hand” knot. It is so called because it was introduced by foreigners. What other symmetrical knots have you experimented with and which is your favourite?